Homeopathy – Got Questions? We’ve Got Answers! 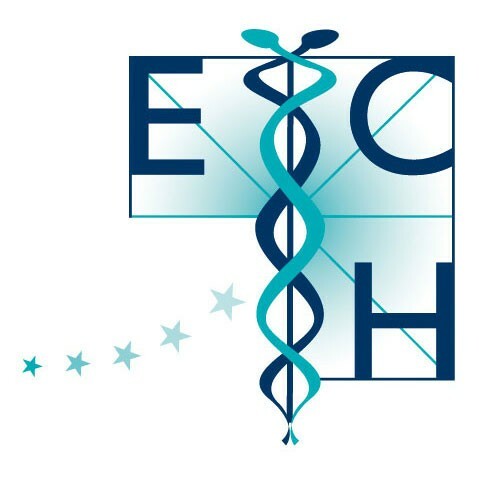 This is a summary of the most frequently asked questions which people have about the European Committee for Homeopathy, as well as about homeopathy in general. Find out more about some of the benefits of homeopathy here. On what principles is homeopathy actually based? Homeopathy is based on the observation that substances that are capable of causing disorders of the mind or body in healthy people can be used in dilute form as medicines to treat similar disorders in someone who is ill, whatever the cause of the illness. Allium cepa derived from onions can be taken as an example. Contact with raw onions causes lacrimation, stinging and irritation around the eyes and nose. Allium cepa can therefore be prescribed to patients with hay fever with the same symptoms. The key to successful homeopathic treatment is identifying the similarity between the effects of the original substance in healthy people and the pattern of the illness in the individual who is ill. This is called the similia principle. Homeopathic medicines must be customized to match the individual with that disease, a process that is called ‘individualisation’. The very same disease in another patient will most often be cured with an entirely different medicine. Thus we could have two different medicines that cure two different patients with identical conventional diagnoses. The word ‘individualisation’ is emphasized because any particular disease or illness, although it may have a particular form of pathology, actually manifests itself differently in individual patients. The pattern of clinical symptoms and signs will differ in some details from person to person. This is true of the actual condition itself, but even more so if incidental factors like changes in mood, thirst, appetite, reaction to temperature, and other body functions are taken into account. The characteristic actions of the homeopathic medicine must match these individual characteristics of the illness if it is to have a therapeutic effect. Homeopathy is based on the philosophy that the body, mind and emotions are not really separate and distinct, but are actually fully integrated. Based on this perspective, a homeopathic doctor seeks a medicine that fits all of a patient’s physical and psychological symptoms. The action of homeopathic medicines is to enable the natural self-regulating mechanisms in the mind and body to function more efficiently, and to mobilize and reinforce the healing resources, which already naturally exist. Actually, instead of defeating or covering up diseases, it facilitates healing. Choosing the right prescription is like choosing the precise key needed to switch on this process. Homeopathy does not seek to remove or suppress symptoms. Its goal is to recognize and remove the underlying cause of these symptoms. This is why a homeopathic doctor will work towards understanding the whole person — including their body, mind and emotional state — before prescribing a medicine. When accurately implemented, homeopathic treatment can elicit a profound healing response. Homeopathy can be extremely effective in treating chronic and long-term health problems. Prescribing medicines of botanical origin is not identical with homeopathy. In phytotherapy the plant extracts are used in their crude form and not potentised as in homeopathy, nor is the law of similars considered. Homeopathy is also to be distinguished from anthroposophic medicine. In anthroposophic medicine homeopathic medicines can be used among other medicines, but their prescription is not based on the law of similars. Homeopathy treats states of ill-health, it does not treat ailments. Of course, in transforming a state of ill-health into a state of health, many, if not most, ailments resolve, but homeopathic doctors do not treat ailments per se. The therapeutic results depend on the extent to which the organism (human being or animal) has the potential to repair. Homeopathic medicines are supposed to induce a process of reorganisation of vital functions by stimulating this self-regulation mechanism, which means that a complete cure is possible in cases where only functional derangement has caused the symptoms. The more structural the changes that have been caused by the deregulation, the more partial a recovery will be. Limitations are specific surgical indications, deficiency diseases and very serious diseases in which gross anatomical changes have evolved. If the tissue damage has become irreversible, homeopathy may only have a palliative or relieving effect. Homeopathy can be successfully used to treat a wide range of disorders, the most frequently treated among them are asthma, allergies, eczema, psoriasis, urticaria, acne, alopecia, rheumatoid arthritis, osteoarthritis, irritable bowel, ulcerative colitis, all kinds of inflammations, migraine, headache, hypertension, angina pectoris, chronic fatigue syndrome (ME), depression and anxiety. Homeopathy can offer therapeutic options where conventional treatments have failed or plateaued, where they do not exist for the problem, or where they are contraindicated or not tolerated. How do homeopathic doctors work in actual practice? Modern homeopathic doctors make a conventional diagnosis like all other doctors. History taking, examination and investigation are all important in establishing the diagnosis – in understanding just what is wrong. However, homeopathic doctors consider a wider range of aspects of the patient’s condition – personality traits, physical features, appetite, likes and dislikes, the regularity of bodily functions, the effects of a variety of environmental influences, patterns of disease within families, and family and social relationships. Your activities, occupational and recreational, will be discussed, along with your emotional state. Finding the appropriate homeopathic medicine depends on gaining a complete understanding of the patient as a whole person. This means that the homeopathic doctor must take note of the physical, mental and emotional levels of each person before deciding on a correct medicine. In chronic diseases the homeopathic doctor will schedule follow-up visits approximately four to six weeks after the first interview and medicine prescription. In simple cases, a patient will feel significantly better after the first treatment. The follow-up visits are used to determine what additional methods or medicines are required. It may be required to use more than one medicine sequentially so that balance and full health can be restored. Individualised homeopathy only applies one medicine at a time. What you will experience when you receive the correct medicine can include the disappearance of specific symptoms, more energy, stronger immune system functions, and a sense of increased well-being. Homeopathic treatments have rapid and far-reaching effects. Even if the changes require time to develop, they usually are long lasting. How is it possible that such small doses that are used in homeopathy, have any physiological effect? Although it is not precisely understood how homeopathic medicines work, there is clear evidence that the medicines are active and can be curative. Homeopathic medicines also have been shown to work on babies and on animals (including dogs, cats, horses and cows) where it is highly unlikely that they are acting as a placebo. The documented results from thousands of experienced homeopathic practitioners and from millions of their patients clearly show that these small individualized doses produce profound health benefits. It is important to know that the small doses used by homeopathic doctors only have an effect when a person has a hypersensitivity to the small doses given. If the wrong medicine is given to a person, nothing happens. If the correct medicine is given, the medicine acts as a catalyst to the person’s defences. In any case, homeopathic medicines do not have side effects. Does homeopathy only work if you have strong believe in its healing powers? Babies: Homeopathic medicines are successfully used by parents for common disorders such as colic, teething pain and infections. Animals: There are many veterinarians using homeopathic medicines to treat domestic pets such as cats, dogs and birds, as well as livestock animals like goats, horses and cows. Millions of people across the world use and rely on homeopathic medicines. Today there is a rapidly growing number of conventional medical doctors using homeopathic medicines or referring patients to homeopathic doctors. Are there any safety hazards involved when using homeopathic medicines? The small doses used in homeopathic medicines make them extremely safe, also for infants, pregnant women or the aged. They do not have the side effects associated with many conventional prescription drugs, which is one of the reasons for the popularity of homeopathy among patients. The vast majority of homeopathic medicines are officially recognized as ‘over-the-counter (OTC) medicines’ and thus any person can order them without a prescription. Because they are recognized as medicinal products, their manufacture is regulated by the National Drug Regulatory Agencies to guarantee their quality and safety. It is possible to take them together, although the homeopathic medicines often work fast and well enough that the person does not need to take conventional prescription drugs. Moreover, homeopathy can often be used as a first option in certain problems, keeping potentially toxic conventional treatment as a second option. Homeopathic treatment is compatible with other existing medication, but a homeopathic doctor seeks to reduce medication to a minimum. How easy is it to treat yourself with homeopathic medicines? Everyone can treat simple common acute conditions by self-prescribing homeopathic medicines. These can be single homeopathic medicines – with the aid of a homeopathic handbook – or, which is often much easier, with ‘combination medicines’ or ‘complex medicines’. The latter contain several different homeopathic medicines that are most commonly prescribed for specific diseases. These combination medicines are popular because they are so easy to prescribe. The treatment of chronic illness as well as more serious acute illness, however, requires the assistance of an experienced doctor with specific training in homeopathy. How long does it take for homeopathic medicines to be effective? In acute diseases such as acute inflammations homeopathic medicines usually act quickly. In chronic diseases homeopathic medicines start working immediately, but complete cure may take considerably more time. In contrast to conventional prescription drugs that act promptly but often only suppress the disease symptoms, homeopathic medicines mobilize and reinforce the healing resources, which already naturally exist. Is the practice of homeopathy and the use of homeopathic medicines legal in the European Union? It certainly is! Most of its practitioners are conventionally trained medical doctors or veterinarians who have furthered their training with the study of homeopathy. Homeopathic medicines are legally considered as ‘medicinal products’. For more details refer to the section Regulatory status. If this section hasn’t quite answered all of your questions, feel free to leave a message and a member of our team will be happy to assist you.